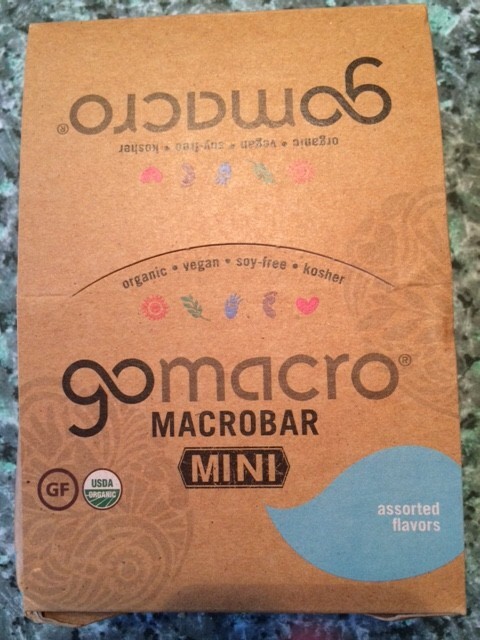 Go Macro Macrobar Mini review & Giveaway! 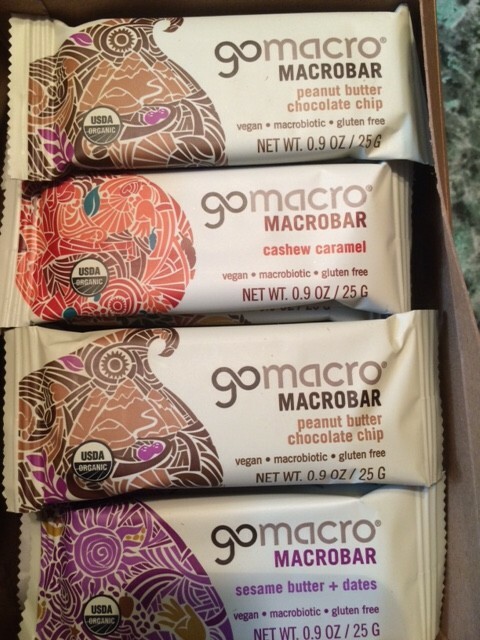 These bars are organic, soy free, vegan, and kosher. 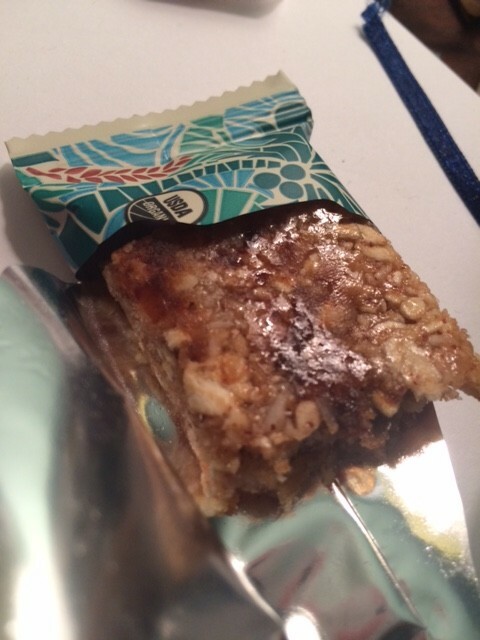 Each bar that I tried was also macrobiotic and gluten free as well. Each of the mini bars is roughly 100-130 calories, and some of them have a nice bit of protein (4 grams or so), making them the perfect little snack, or pre workout boost. So…let’s get started! Each bar is roughly the length of a pack of Trident gum and a little wider. Has a semi toasted flavor, hard to explain but it’s good. Once again it is chewy and sticky and sweet. I don’t really know where the Carob flavor is though? Practically non existent. There was a predominant almond butter flavor and almost tasted like date instead of carob. Sweet and chewy, and tasted like an apple pie flavored bar. There were teeny pieces of sweet dried apple, and there was definitely some cinnamon aftertaste. The walnuts aren’t frequent but the flavor is there, and is adds a nice little crunch. Sweet and chewy, with almost a fruity flavor! It had a yummy taste from the granola. The coconut flavor is mild, and some bites you don’t taste it. However, a very good bar, great pairings and great flavor. 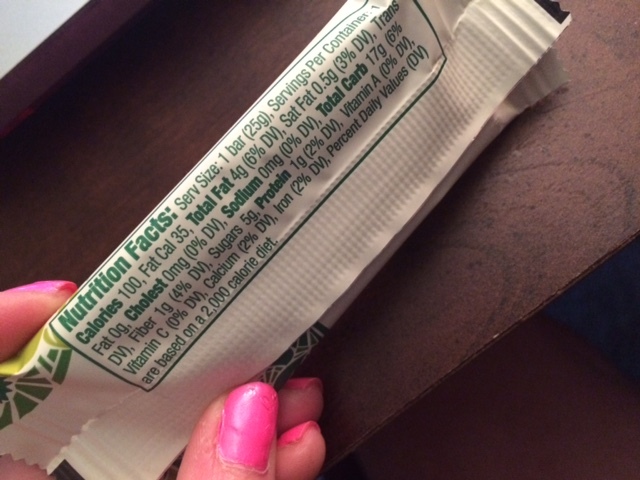 Here’s nutritional information for one of the bars- they are “roughly” the same for the other bars, but not exact. You can win a case of Macrobar minis!! Open to US AND Canada only (yay!!!!). 1. Leave me a comment below stating your favorite bar! Giveaway CLOSES on July 17th, 12 pm. I love the granola and coconut macro bar! The Cherries + Berries bar sounds great. Cherries & Berries sounds like winner! My favorite bar is the PB Chocolate Chip. I’ve never tried these, but my first pick would be pb! haven’t tried this brand yet but the peanut butter chocolate chip sounds great! I’ve never tried these before, but the Cashew Caramel sounds yummy!